Because of South Florida’s history as a regular vacation spot for the big cities of the Northeast, an unusually rich classical scene has developed here. Snowbirds can catch some of the concert season they’re missing up in the colder climes, and locals can reap the benefit. But there’s also a vibrant and healthy homegrown classical culture that increasingly is drawing favorable national attention. One particularly notable new event this season is the first Elmar Oliveira International Violin Competition, named for the American violinist and Lynn University professor. It will be held Jan. 22-Feb. 5 at Lynn, and is aimed at giving violinists ages 16 to 32 help in succeeding in the arts industry. Instrumental: There is a host of star soloists coming through this season as usual, many of them in appearances with local and guest orchestras; many of them are listed in the orchestral section below. But some of the biggest names arriving this season can be found at the Kravis Center, which is celebrating its 25th year this season. Chinese pianist Lang Lang gives a recital Feb. 21 featuring the Liszt B minor Sonata and pieces by Granados, while the veteran violinist Itzhak Perlman presents his annual holiday recital Dec. 18. The Kravis’s Regional Arts series offers several major soloists and conductors, including the young Scottish violinist Nicola Benedetti, who appears twice with the Royal Scottish National Orchestra and conductor Peter Oundjian; on March 14, she plays the Brahms Concerto, and on the March 15, it’s Bruch’s Scottish Fantasy. Other standout violinists include Sarah Chang in the Dvořák Concerto (Jan. 10) with the Prague Philharmonia under Emmanuel Villaume, followed Jan. 16 by the great Russian Vadim Gluzman in the Tchaikovsky Concerto with the conductorless Orpheus Chamber Orchestra. The sensational young Australian Ray Chen joins Christoph Eschenbach and the Bamberg Symphony for the Mendelssohn Concerto (Feb. 12), and Israeli violinist Gil Shaham is heard in the Barber Concerto on Feb. 26 with Leonard Slatkin and the Orchestre National de Lyon of France. Pianist Denis Kozhukhin plays the Rachmaninov Third with the Philadelphia Orchestra and Stephane Denève on Feb. 7, while Nikolai Lugansky joins Yuri Temirkanov and the St. Petersburg Philharmonic for the Brahms First on Feb. 20. The Israeli pianist Inon Barnatan plays the Mozart Ninth Concerto (Jenamy) with the Academy of St. Martin in the Fields on March 19. The soloist outlier on this series is the Croatian hornist Radovan Vlatkovic, who performs Richard Strauss’s First Concerto on Dec. 3 and Mozart’s Third on Dec. 4 with the Mozarteum Orchestra of Salzburg under the British conductor Matthew Halls. The Kravis also has a Young Artists series at the Rinker Playhouse that opens with organist Chelsea Chen, artist in residence at Fort Lauderdale’s Coral Ridge Presbyterian, playing the Kravis’s new digital organ on Nov. 19, while the Russian pianist Alexandre Moutouzkine, who appeared with the Symphonia Boca Raton last season, is in recital Dec. 12 with a transcription of Stravinsky’s Firebird Suite accompanied by a video called Who Stole the Mona Lisa? Korean violinist In Mo Yang, who has been scooping up big prizes, appears on the series March 1, and on April 3, the Julliard-formed Lysander Trio makes its South Florida debut. Other soloists appearing this season include the stellar American pianist Charlie Albright (Feb. 26) and the British flutist James Galway (March 15) in recital at the Society of the Four Arts, and three other rising performers on the Young Concert Artists series at the Chamber Music Society of Palm Beach, which will present the concerts at the Rosarian Academy. Scheduled are cellist Edgar Moreau, in sonatas by Beethoven and Poulenc, and pieces by Fauré and Chopin (Feb. 9). The young Dutch-American violinist and math prodigy Stephen Waarts is heard March 2, and the Korean-American pianist Ji-Yong Kim, who now goes by the single name Ji (and who was featured in a recent Android commercial playing the finale of the Beethoven Moonlight Sonata) arrives April 4. Orchestra: The first orchestra to pick up the mantle of the season was the Lynn Philharmonia, the student orchestra of the conservatory of music at Boca Raton’s Lynn University. Music director Guillermo Figueroa opened Sept. 24-25 with a Haydn symphony (No. 88), Strauss’ Till Eulenspiegel, Stravinsky’s Firebird Suite and a new work, the one-movement Symphony No. 3 (Op. 12) of David Jonathan Rogers, who graduated from Lynn last year. The Philharmonia’s annual concerto competition winners are heard Nov. 12 -13, and Figueroa himself is heard as soloist in the Violin Concerto No. 2 of Bartok in concerts that also include Elgar’s Engima Variations and Wagner’s Die Meistersinger Overture (April 22-23). Lynn professor Roberta Rust solos in the Mozart Piano Concerto No. 23 in concerts Oct. 15-16 on a program with the Beethoven Second Symphony and Debussy’s La Mer, but the highlight of the Philharmonia season is likely to be in February, when Figueroa, whose favorite composer is Hector Berlioz, presents the Frenchman’s Roméo et Juliette along with soloists Rebecca Robinson, Adrian Smith and the Master Chorale of South Florida (Feb. 25-26). Conductor James Judd, who led the Florida Philharmonic until its 2003 demise, returns to the podium Dec. 4 to open the Symphonia Boca Raton’s season at St. Andrew’s School in Boca Raton with Czech violinist Jan Mracek, who solos in the Brahms Violin Concerto and Dvorak’s Mazurek. Judd also has programmed Gyorgi Ligeti’s Ramifications and the Fourth Symphony of Schubert. Baroque music is on the bill Jan. 8 for guest conductor Brett Karlin, leader of the Master Chorale of South Florida. Soprano Sherezade Panthaki joins Karlin for J.S. Bach’s Cantata 51 (Jauchzet Gott in allen Landen) plus arias by Handel and Vivaldi; also on the program are orchestral suites by Handel and Rameau. Stuart-based pianist Lindsay Garritson is the soloist Feb. 19 in the Piano Concerto of Ravel, led by Alistair Willis of the Illinois Symphony. The all-French program includes music by Ibert, Fauré, Debussy, Bizet and Honegger. The Symphonia’s season concludes, as it has for a couple years now, with Gerard Schwarz, who welcomes hornist Gregory Miller of Lynn University to the stage for the Horn Concerto No. 3 of Mozart. That composer’s Symphony No. 39 is paired with the Concerto for Small Orchestra by American composer David Diamond and the Appalachian Spring suite of Aaron Copland. Schwarz revived interest in Diamond, whose centennial was last year, while leading the Seattle Symphony, and wanted to make a point of including his work for his Boca appearance (March 26). The Palm Beach Symphony opens its season of five concerts Dec. 5 at the Society of the Four Arts with the Second Symphony of Schubert and Beethoven’s incidental music to the drama Egmont. Spanish-born Conductor Ramón Tebar, who does triple duty as the music director of Florida Grand Opera as well as Opera Naples, brings his band to the new Upper School auditorium at the Benjamin School in Palm Beach Gardens on Jan. 19 with the Symphony No. 2 by Alexander Borodin, Liszt’s Hungarian Rhapsody No. 2, and Arnold Schoenberg’s witty orchestration of the Piano Quartet No. 1 of Johannes Brahms. In its effort to feature different sections of the ensemble, the orchestra presents an all-percussion concert Feb. 8 featuring works by Bartok, Ravel, John Cage and David Maslanka. That concert will take place at the Flagler Museum. Next up is a concert featuring a new work by the venerable composer and conductor André Previn called Can Spring Be Far Behind? ; the rest of the program features Gershwin’s An American in Paris and Shostakovich’s finest symphony, his Tenth. This program will be presented in an invitation-only event at Mar-a-Lago (which may or may not be a presidential home by then) on March 29, and the night before in a public concert at Bailey Hall on the Davie campus of Broward College. The ensemble closes its season as always with a night at the Kravis Center. The April 13 wrap-up is an all-Russian program featuring Rachmaninov’s Vocalise, Stravinsky’s Firebird Suite, and the Sixth Symphony (Pathétique) of Tchaikovsky. The Atlantic Classical Orchestra has appointed a new conductor, David Amado, taking time from his main job as leader of the Delaware Symphony Orchestra. The Fort Pierce-based orchestra also continues presenting four performances of each program: Once at the Waxlax Center in Vero Beach, twice at Stuart’s Lyric Theatre, and once at the Eissey Campus of Palm Beach State College in Palm Beach Gardens. 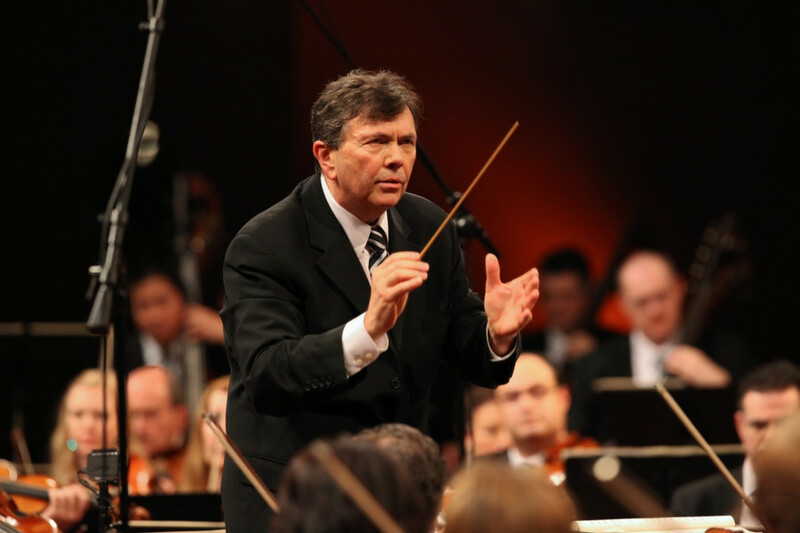 First up on Jan. 12 (all dates are Gardens concerts) are two major workhorses, the Beethoven Fifth Symphony and the Tchaikovsky First Piano Concerto, with Russian pianist Vyacheslav Gryaznov as soloist. The concert opens with Bedrich Smetana’s overture to his opera The Bartered Bride. The Young Artists of the Palm Beach Opera join the orchestra Feb. 15 for a selection of favorites from the operatic stage, including instrumental pieces; music by Mozart, Rossini, Verdi, Puccini, Donizetti, Bizet and Mascagni are among the composers featured. The orchestra’s Rappaport Prize in Composition, which began under former director Stewart Robertson, brings another new work to the public March 8 with a piano concerto by the remarkable young pianist and composer Conrad Tao. The piece shares the stage with Dvorak’s New World Symphony. The season closes April 5 with the Brahms Double Concerto as played by violinist Leonid Segal and cellist Ashley Garritson (pianist Lindsay’s sister) on a program with Fauré’s Pelléas et Mélisande suite and the Jupiter Symphony of Mozart. The South Florida Symphony, based in Key West and conducted by Sebrina Maria Alfonso, plans three masterworks concerts and two pops shows; the three masterworks shows are presented four times, once each in Boca Raton, Fort Lauderdale, Miami and Key West. The young Kentucky native Tessa Lark is the violin soloist in the Violin Concerto of Erich Wolfgang Korngold on Jan. 22 (dates are the Boca Raton concerts, at FAU’s Kaye Auditorium) with Strauss’ Also Sprach Zarathustra and a world premiere of a work by American composer Tom Hormel called Legend of Bird Mountain. The Russian pianist Svetlana Smolina returns to the orchestra for the Rachmaninov Piano Concerto No. 2 on Feb. 19; a suite from Rimsky-Korsakov’s opera The Snow Maiden opens the concert and the second half is devoted to the Fifth Symphony of the great Danish composer Carl Nielsen. And on April 2, the whimsy of American composer Peter Schickele is on display through his alter ego, P.D.Q. Bach, whose ostensible Concerto for Simply Grand Piano and Orchestra features pianist Jeffrey Biegel as soloist. Also scheduled is the Hebrides Overture of Mendelssohn and Tchaikovsky’s Fifth Symphony. The pops concerts, which will take place in Boca, Fort Lauderdale and Key West, are devoted to the Great American Songbook (Nov. 13, FAU) and Tony Award-winning music from Broadway (March 19, FAU). James Brooks-Bruzzese’s Symphony of the Americas in Fort Lauderdale offers six concerts on its 29th season, all at the Broward Center. On Oct. 11, violinist Alejandro Drago is the soloist on a program celebrating the bicentennial of Argentina’s independence. Music by its two most prominent composers, Alberto Ginastera and Astor Piazzolla, are on the program along with music by Puccini. Jazz pianist Ted Rosenthal is in the spotlight Nov. 15 with the Gershwin Concerto in F and other pieces of American music. Singers Frank Loconto and Cathy Van are featured in the annual holiday concert (Dec. 11 and 13), while duo keyboardists David Dunlap and Wesley Pennington are seen Jan. 10 in a concert of Romantic classics as rearranged for orchestra and the keyboards (one of them a digital organ) and accompanied by visual projections. Soprano Grethel Ortiz and tenor Ricardo Velasquez are soloists in a concert of operatic selections (Feb. 7, 12), and the season wraps March 7 with duo pianists Sergio and Barbara Salani and a guest appearance by Lillie McCloud, a finalist on TV’s The X Factor. For more than 10 seasons now, the Cleveland Orchestra has presented stellar concerts at Miami’s beautiful Knight Concert Hall, and this year’s offering feature some notable collaborations. Violinist Gil Shaham joins Franz Welser-Möst and the orchestra for the Violin Concerto of Samuel Barber (Nov. 11-12); Shostakovich’s Fifth Symphony and Berlioz’s Roman Carnival Overture are on the same program. Miami concert choir Seraphic Fire and mezzo Jennifer Johnson Cano are on hand Jan. 27 and 28 for Bach’s Cantata No. 34 (O ewiges Feuer, o Ursprung die Liebe), plus movements from Cantatas Nos. 29 and 191. Welser-Möst also will lead the orchestra in the Seventh Symphony of Anton Bruckner. Danish-Israeli violinist Nikolay Znaider is the soloist in the rarely heard Violin Concerto of Carl Nielsen on Feb. 2 and 4, while another Scandinavian, the Finn Jan Sibelius, is represented by his Second Symphony. The legendary cellist Yo-Yo Ma performs on a gala night Feb. 3, with the Dvorak Cello Concerto; Tchaikovsky’s Capriccio Italien and the Smetana Bartered Bride overture round out the evening. The last program in the series is devoted to music of Italy or associated with it, with ballet music from Verdi’s operas Macbeth and Don Carlo sharing the bill with Mendelssohn’s Italian Symphony and Ottorino Respighi’s deathless Pines of Rome. The New World Symphony in Miami Beach, which has been giving young orchestral musicians a nonpareil finishing education for nearly three decades, began its 29th season last month and runs through early May at its splendid home on 17th Street, where thousands of strollers each season watch some of the concerts projected outside on the big white wall. Serious classical music fans need to pay at least one visit there each season. Among the highlights are soprano Renee Fleming in Ravel’s song cycle Shéhérazade with New World founder Michael Tilson Thomas (Oct. 22); pianist Jean-Yves Thibaudet in the Gershwin Concerto with Roberto Abbado (nephew of Claudio) of the St. Paul Chamber Orchestra (Jan. 13-14); pianist Garrick Ohlsson in the Grieg Concerto with the Minnesota Orchestra’s Osmo Vänskä (March 10-11). And then there’s Emanuel Ax in the Schoenberg Piano Concerto (Oct. 16); soprano Lydia Teuscher (with conductor Bernard Labadie) in arias by Handel and Mozart (Nov. 13); violinist James Ehnes in the Shostakovich Violin Concerto No. 1 with conductor Peter Oundjian (Dec. 11); Argentine pianist Ingrid Fliter in the Saint-Saens Second Concerto (April 9); and cellist Alisa Weilerstein in the Britten Cello Symphony with Tilson Thomas to close the season (May 7). MTT’s annual exploration of the Mahler Legacy features the Fifth Symphony this season on a concert with German violinist Christian Tetzlaff in the Mendelssohn Violin Concerto (Jan. 22). There is also a concert of freshly composed music called New Work (April 29) and James Conlon leading the Shostakovich 12th Symphony (March 26). Finally, the most adventurous fans of classical music in the region will be checking out the second season of Nu Deco Ensemble, the Wynwood-based “21st-century orchestra” that features a good deal of clever crossover in co-founder Sam Hyken’s arrangements of music by acts such as LCD Soundsystem and Jamiroquai. This year Nu Deco opens Oct. 27-29 at the Light Box in Wynwood with a suite of music by British trip-hoppers Massive Attack as arranged by Hyken, a collaboration with neo-soul singer Bilal, and pieces by Adam Schoenberg, Judd Greenstein and William Brittelle. Violinist and singer Kishi Bashi joins the orchestra Dec. 8-10 for a concert that also features music by Bernstein (Candide Overture), Jorge Mejia, Bryce Dessner and Ricardo Romainero. South Korean duo-pianists Yoo and Kim perform Swedish composer Fredrik Sixten’s Concerto for Two Pianos in a one-night event at the New World Center on Jan. 15, and stick around to play Hyken’s arrangement for two pianos and orchestra of Frank Zappa’s Peaches en Regalia. Also included is Zappa’s Dog Breath Variations, music by Steve Reich, the young Jessie Montgomery, and Radiohead; there’s even a toccata by Bach. An outdoor concert Feb. 16 at the North Beach Bandshell and a concert of Cuban music (March 9-11) at the Light Box is followed April 13-15 by a concert featuring John Adams’s Son of Chamber Symphony, a new piece by Chris Rogerson, a collaboration with the Greek jazz singer Magda Giannikou, and Hyken’s Prince Symphonic Suite, a tribute to the pop icon who died earlier this year. Nu Deco’s season closes April 28 at the Arsht Center with a collaboration with Brooklyn’s Decadancetheatre that includes a reimagining of Vivaldi’s Four Seasons. Choral: The Master Chorale of South Florida, which last season took on Haydn’s Lord Nelson Mass, reaches for the heights this time around with the Mass in B minor of J.S. 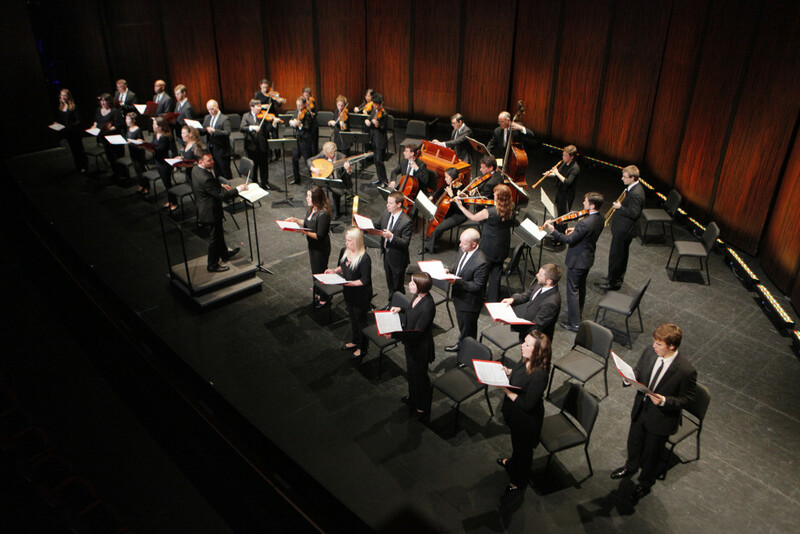 Bach, one of the cornerstones of the repertory and a high-water mark in Western civilization to boot (Nov. 18-20). Performances are in Fort Lauderdale, Coral Gables and Boca Raton (the Roberts Theater at St. Andrew’s School). For the chorale’s spring concert, Brett Karlin leads music from three Gilbert and Sullivan comic operas, H.M.S. Pinafore, The Pirates of Penzance and The Mikado (April 28-30; the Boca Raton concert is at Lynn University’s Wold Center). In addition to the already mentioned Berlioz Roméo et Juliette with the Lynn Philharmonia on Feb. 25 and 26, the Chorale does its annual Handel Messiah on Dec. 16 at Coral Ridge Presbyterian in Fort Lauderdale. The remarkable Miami concert choir Seraphic Fire has its 15th season this year, and remains one of the only South Florida musical institutions in recent memory to be nominated for two Grammy Awards. This season, the choir returns to Palm Beach County for three appearances with its annual Christmas concert, but the rest of its appearances are in Fort Lauderdale and Miami-area venues, as well as two concerts across the state in Naples. They’ll also be featured with the Cleveland Orchestra (see the Orchestra section). This season features eight new works by American composers including founder Patrick Dupré Quigley and the celebrated Guggenheim winner Chris Theofanidis. Both of their works are on the first concert of the season, focused on new National Medal of the Arts winner Philip Glass’s Einstein on the Beach (Oct. 19-23). A piece by Douglas Cuomo accompanies the Requiems of Gabriel Fauré and Maurice Durufle (Nov. 11-13), and new carol settings by Susan LaBarr are premiered on the “Winter’s Night” Christmas concert (Dec. 6-18), which comes to St. Mark’s Episcopal in Palm Beach Gardens (Dec. 6), the Kravis Center (Dec. 14) and St. Gregory’s Episcopal in Boca Raton (Dec. 18). New works by Alvaro Bermudez and Shawn Crouch are heard on the group’s 15th anniversary celebration (Jan. 18-22), and from Feb. 17-19, the choir performs, for the third time, the Six Motets of J.S. Bach. Guest conductor Elena Sharkova directs music by Rachmaninov and Tchaikovsky from March 8-12, and Bach’s Easter Oratorio is featured on two concerts (April 13-14) with new compositions by Abbie Betinis and James Kallenbach. James Bass leads the last regular program, which is devoted to Allegri’s Miserere and a selection of favorites voted on by the audience (May 10-14). The Dover Quartet opens the Flagler Museum series Jan. 10. Chamber: Palm Beach County is among the best places to be in the winter season for chamber music, with several well-programmed series and a local string quartet offering up a wide variety of pieces. Now in its 13th season, the Delray String Quartet continues its regular concerts at the Colony Hotel in downtown Delray Beach and All Saints Episcopal Church in Fort Lauderdale. The music of Walter Piston (Quartet No. 1) is on the first program (Oct. 30, Delray; Nov. 4, Fort Lauderdale) along with Dvorak’s No. 10 (in E-flat) and Beethoven’s arrangement for quartet of one of his own piano sonatas (No. 10 in G, Op. 14, No. 2). Pianist Tao Lin guests in the Dohnanyi Piano Quintet on a concert with works by Haydn and Shostakovich (Quartet No. 8) on Dec. 9 and 11; string quintets by Brahms and Boccherini, with a guest cellist, are heard Jan. 6 and 8. The fine Ukrainian pianist Marina Radiushina joins the quartet for quintets by Fauré and Arensky on a program with David Diamond’s Adagio for Strings (Feb. 5 and 17), and the season closes with quartets by Debussy, Schubert and tangos by Astor Piazzolla (March 22, 26). The Tuesday night music series at the Flagler Museum always brings in some of the best string quartets performing today, in a historic Palm Beach venue and a ticket price ($70) that includes champagne and delicious snacks afterward while audience members mingle with the musicians. 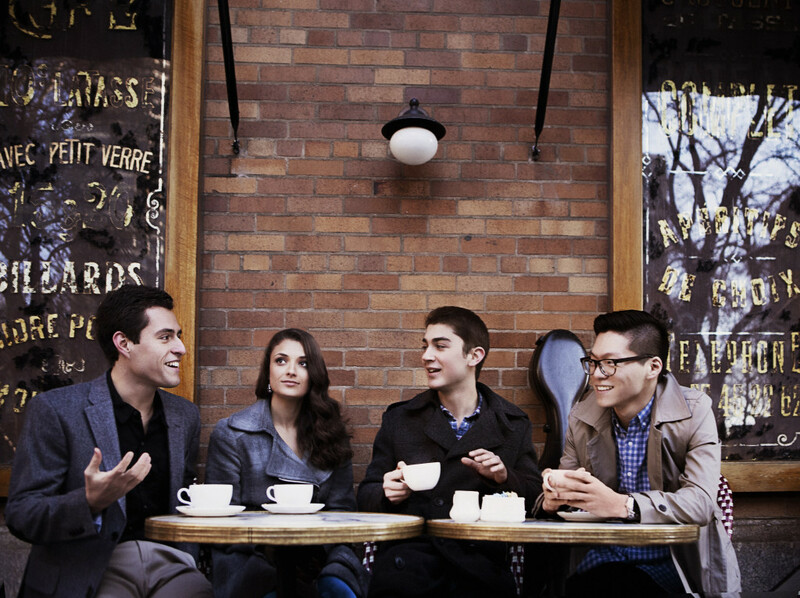 The young Dover Quartet is up first on Jan. 10 with quartets by Mozart (No. 23), Beethoven (No. 2) and Smetana (No. 1, From My Life). The very new Telegraph Quartet of San Francisco follows (Jan. 24) with music by Dvořák (Quartet No. 13 plus three of the Cypresses), Haydn (Bird), Schumann (Quartet No. 3) and a rondo by Anton Webern. The Belgian duo of violinist Jolente De Maeyer and pianist Nikolaas Kende perform sonatas by Beethoven (No. 8), Mendelssohn and Schubert (the Grand Duo) as well as a miniature (Mélancholie) by probably the best-known of all Belgian composers, César Franck (Feb. 7). The Trio Céleste, a California-based piano trio, presents two of the biggest of all Romantic piano trios, the one by Tchaikovsky, and the Dumky Trio of Dvořák (Feb. 21). The season closes March 7 with the Russian-American St. Petersburg Piano Quartet in works by Mozart (Quartet No. 2) and Brahms (Quartet No. 1). Britain’s Elias Quartet, fresh off its complete Beethoven cycle, performs Feb. 5, while New York-based Trio Solisti makes a return visit Feb. 19 with music by Haydn, Chausson and Brahms. Another British group, the Doric String Quartet, arrives March 12, and Israel’s Jerusalem Quartet plays pieces by Haydn, Prokofiev and Beethoven on March 19. The Chamber Music Society of Palm Beach enters its third year with regular concerts at Mar-a-Lago and young artist recitals at the Rosarian Academy in West Palm Beach. The society is supported by memberships of $1,500 apiece, but it brings exceptional performers to those who do sign up. The young Aletheia Trio, featuring three women in their 20s, performs trios by Mendelssohn, Haydn and Faure on Nov. 16, followed by clarinetist Jon Manasse, pianist Jon Nakamatsu, and violist Cynthia Phelps in music by Mozart, Bruch and Enescu (Dec. 13). The Escher Quartet, with flutist Carol Wincenc, is heard in music of Ravel, Debussy and contemporary Japanese composer Yuko Uebayashi (Jan. 18); the Zukerman Trio (Pinchas Zukerman, cellist Amanda Forsyth and pianist Angela Cheng) is next in pieces by Brahms, Kodaly and Schubert (Feb. 22); Los Angeles’ Calder Quartet follows March 15 with music by Debussy, Beethoven and Esa-Pekka Salonen. The Huang-Appel-Arron-Wosner Piano Quartet concludes the season April 19 with quartets by Mozart and Brahms. And the Classical Café series concerts, which are heard Wednesday afternoons at the Stage West black-box theater at Palm Beach State College in Lake Worth, features Philadelphia’s Jasper Quartet on Jan. 18; the Panther String Trio (three members of Miami’s Amernet Quartet) on Feb. 15; the Vienna Piano Trio on March 1; and on March 29, the brilliant young British cellist Jacob Shaw.